Enter the information required for your cert. Submit the CSR file to your certificate provider. If you meet the requirement of your certificate provider, you should receive the signed cert of your domain, intermediate certificate file and the root certificate file. Copy all the files to your server. Decrypt the private key you generated in step 1. Find the block of your site inside the Apache configuration files, the files are under the directories like /etc/httpd/vhosts.d/ or /etc/httpd/sites/ or in a file called ssl.conf. Restart your Apache server and try the result. Configure the server block of your site. # The unified cert generated in previous step. 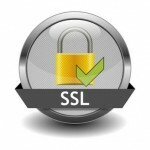 As there are many different web servers, if you are using other servers that are not included in this article, please search how to configure it for SSL in Google.